Always Tell the Truth to Your Lawyer and Doctor | Riverside Injury Attorney Not telling the truth to your lawyer and doctor can have a drastic impact on your personal injury claim. You do not want to be caught in a lie. 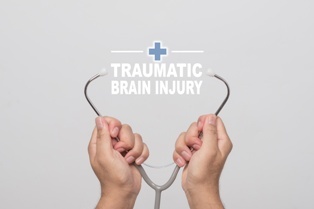 Traumatic brain injuries, also known as TBIs, are one of the most serious types of injuries from accidents. Considering that the jolting, jostling conditions of a car accident or a slip and fall are ideal for causing either a closed or penetrating head injury, it's not difficult to see why. Though mild traumatic brain injuries, commonly called concussions, often heal on their own with time and plenty of rest, some mild TBIs do not resolve regardless of all proper medical care and treatment. Further, moderate to severe TBIs can have long-lasting or even lifelong consequences. Here's what you need to know about TBI statistics in California and beyond. TBIs are a major cause of disability and death in the United States, contributing to approximately 30 percent of all injury-related deaths, according to the Centers for Disease Control and Prevention (CDC). TBI is the diagnosis in more than 282,000 hospitalizations and 2.5 million emergency room visits each year. Among all demographics, car accidents are the third leading cause of TBI-related emergency room visits, hospitalizations, and deaths. Car accidents are the leading cause of TBI-related death for people between the ages of 5 and 24. Nearly 32,900 people were diagnosed with a non-fatal TBI and hospitalized in California in 2014 alone, according to the California Department of Public Health (CDPH). TBI was the primary or principal diagnosis in approximately 60 percent of those almost 32,900 cases. An additional more than 251,000 Californians were treated for a TBI and released (rather than hospitalized) that same year. Those fortunate enough to survive a severe TBI aren't out of the woods, because the injuries may be detrimental for the balance of one's life. The effects of a TBI can last a lifetime and may include cognition, motor sensory, communication, and behavioral impairments. These deficits not only can negatively affect a person's ability to hold a job, maintain appropriate relationships, or even care for themselves—but they can also have a devastating effect on the victim's family, social circle, and community. Sadly, more than 5.3 million children and adults in the United States are living with a lifelong disability as a result of a TBI. Depending on the severity of the TBI and resulting impairments, patients with TBIs may require in-home or in-facility assistive care, assistive devices (such as walkers or wheelchairs), various therapies, medications, and more—the cost of which can quickly become insurmountable. According to a study conducted by researchers at Northwestern University's Feinberg School of Medicine, the lifetime costs of treatment for a TBI can range from $85,000 to $3 million. The defendant owed the plaintiff a duty of care. The defendant breached that duty. The breached duty resulted in the plaintiff's injury. The injury would not have occurred were it not for the defendant's negligence. If this sounds like a tall order, don't worry. A knowledgeable and experienced personal injury attorney can investigate your claims and help you build a strong case. If you or someone you love sustained a TBI in a California car accident that wasn't your fault, it's important to understand your rights and options for seeking compensation. The skilled personal injury attorneys with the Inland Empire Law Group can help you fight for the compensation you need and deserve. Contact us today at (909) 481-0100 or toll free at (888) 694-3529 to schedule a free initial case consultation.